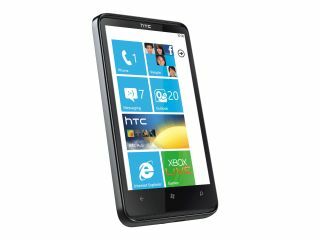 O2 has announced that it will be exclusively offering the eagerly anticipated HTV HD7 featuring the brand new Windows Phone 7 platform from Microsoft. Windows Phone 7 has just been officially unveiled by Microsoft, as the software giant looks to force its way back into the hearts and minds of the consumer with a completely re-imagined mobile operating system to compete with the likes of Apple's iOS 4 and Android. O2 has announced that it will be exclusively offering the HTC HD7 – a 4.3-inch touchscreen smartphone, which takes advantage of the Windows Phone 7's features. "Windows Phone 7 is a completely fresh start for Microsoft and brings them right into the smartphone space," said Steve Alder, O2 General Manager Devices. "The large memory and big screen on the HTC HD7, a great exclusive for O2, means that our customers will get the very best experience out of Windows Phone 7." HTC have a longstanding relationship with Microsoft and Jon French, executive director for UK and Ireland, is delighted with the latest collaboration. "The new Windows Phone 7 experience is an entirely new approach that we anticipate people will enjoy," said French. "With the integration of Microsoft's most popular services like Xbox Live and Zune, Windows Phone 7 is a truly compelling mobile platform. "The HTC HD7 has a large, high-resolution screen which makes it perfect for playing games and enjoying videos." The phone has 16GB of onboard storage, a 1GHz SnapDragon processor and offers a 4.1-inch 480x800 TFT LCD multitouch screen. The handset also has a 5MP camera with dual LED flash and HD video recording, G-Sensor (accelerometer), proximity sensor, ambient light sensor, A-GPS and a digital compass – not forgetting a built-in stand. The HTC HD7 will be available on O2 pay monthly contract tariffs – and will be offered free to those prepared to sign up for a 24-month contract on £40 a month.